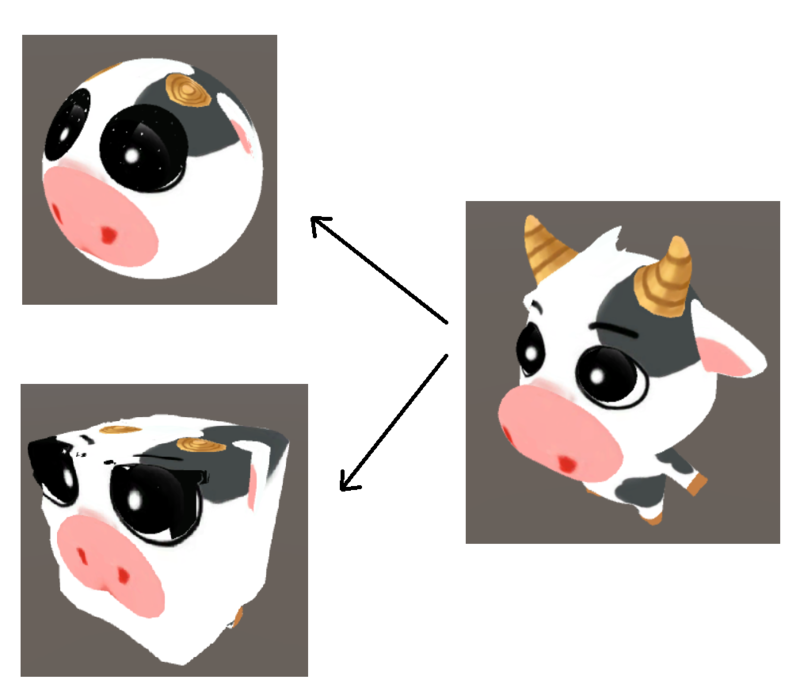 I want to morph between 3d models.I found a simple OpenGL code to morphing In Graphics Shaders: Theory and Practice(page 456) but I couldn't Implement it correctly in unity. The example you're working from is trying to use information encoded in the texture coordinates for some reason (something you didn't replicate in your version), invoking unnecessary trig. I'd just throw that out if all you want is cubes and spheres. Just remember to do your morphing in object space, before you project into clip space, not after. // x = 1, y = 1, z = 1, x = -1, y = -1, or z = -1, ie. the unit cube. // Scaling by a _Size parameter makes the cube however big we want it. // Spheres are easier - just normalize to get a direction and scale it. // Perform our blend in object space, before projection. // Project our blended result to clip space. Not the answer you're looking for? Browse other questions tagged unity shaders shaderlab vertex-shader or ask your own question.